This workshop will cover the requirements for the BSA Landscape Architecture badge. We will tour part of the botanical garden, do some plant identification, design a landscape for a local building, talk about careers in the field and meet with a landscape designer. The Scouts will have “homework” to do before the class. We do not provide the badge. Workshop size is limited to 8 scouts. Each scout needs to have a supervising adult with a ratio of 1 adult per 4 scouts or less. Workshop is led by a garden staff member who is a BSA merit badge counselor. $12 per scout. Adult chaperone is free. Sorry, this event is full. To be placed on the waitlist, please email us and include your name, email address, and cell phone number. To make the check-in process smoother, 2nd and 3rd graders should arrive at 12:00 pm and K-1st graders should arrive at 12:30 pm. If you have a mix of ages, anytime between 12 and 12:45pm is fine. You can leave any time you are done. 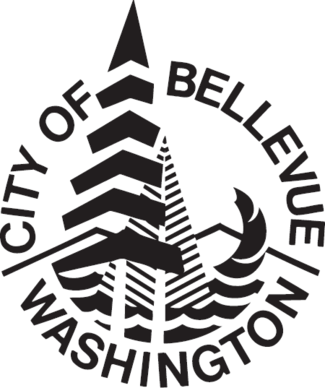 Where: Aaron Education Center at the Bellevue Botanical Garden, 12001 Main Street, Bellevue, WA 98005. Please check-in at the Education Center when you arrive. Cost: $12 per scout. Adult chaperones are free. Registration is by individual scout and not by troop/den. Pre-registration is required. Maximum number of spaces that may be purchased is 7. If you wish to send more scouts than that, please consider scheduling a private scout workshop, which would be a better value for your group. Contact Kate Sorensen for more information. Scouts must be accompanied by an adult or follow their scout adult-child safety ratios. Suggested ratio is 1:4. This is not a drop-off event. Scouts will receive a BB Garden Fun Patch. If you have adults or older scouts that would like to volunteer at the event, or if you have questions, email Kate Sorensen. Private Scout workshops are currently being offered on a limited basis as we continue to develop this program. 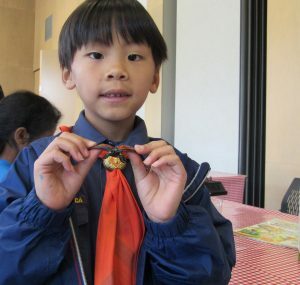 Please email Kate Sorensen to organize a private badge workshop at the Garden for your den or troop.